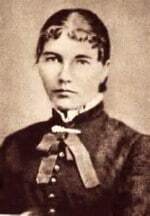 Had Laura Ingalls Wilder succeeded in having her first novel published, the Little House Books would not have existed. Laura Ingalls Wilder submitted her autobiography, Pioneer Girl, to literary agents in 1930. The factual account of her life was intended for adult readers and it languished, failing to find favor with publishers until she re-worked part of the story into a shorter volume for children, entitled When Grandma was a Girl. That book, expanded and revised, was published as Little House in the Big Woods in 1932. Years ago, I acquired a copy of the version of Pioneer Girl Wilder submitted to literary agent George T. Bye around 1931. It is one of my prized possessions, and here’s why: studying that early version of Wilder’s work and comparing it to the finished Little House books gave me hope for my own future as a writer. Pioneer Girl was not published in its original state because it wasn’t ready yet. Finding the right way to present the story took time. And revision. When it was ready, it became the beloved series of children’s books. As writers, we all have to start somewhere. Then we have to be patient, develop our ideas, and let the stories simmer. We can’t rush the revision process, as much as we might want to! One day when he [Pa] was riding Patty, the pony, across the prairie, he rode down into a little wash and found himself surrounded by a pack of wolves. Patty was terrified and tried to run, but Pa held her down. He knew that if she started the wolves would run them down and kill them both, for he could not kill the whole pack with one muzzle-loading gun. Patty trembled and sweat with fear, but Pa made her walk slowly among the wolves. They must have lately made a kill and eaten well, for they could not have been hungry. Carelessly they ran on by. When they were gone, Pa came home as fast as he could. All at once, Patty came running across the prairie. She was stretched out, running with all her might, and Pa was leaning almost flat on her neck. She ran right past the stable before Pa could stop her. He stopped her so hard that she almost sat down. She was trembling all over and her black coat was streaked with sweat and foam. Pa swung off her. He was breathing hard, too. “What is the matter, Charles?” Ma asked him. Pa was looking toward the creek, so Ma and Laura looked at it too. But they could see only the space above the bottom lands, with a few tree-tops in it, and the distant tops of the earthen bluffs under the High Prairie’s grasses. One thing had led to another, and Pa was starting home later than he had meant. He took a shortcut across the prairie, and as he was loping along on Patty, suddenly out of a little draw came a pack of wolves. They were all around Pa in a moment. “And you didn’t have your gun,” said Ma. “What did you do?” Ma asked. “Goodness, Charles!” Ma said under her breath. “Yes. I wouldn’t go through such a thing again, not for any money. Caroline, I never saw such wolves. One big fellow trotted along, right by my stirrup. I could have kicked him in the ribs. They didn’t pay any attention to me at all. They must have just made a kill and eaten all they could. “Goodness, Charles!” Ma said again. Laura’s heart was thumping fast, and her mouth and her eyes were wide open, staring at Pa.
“Patty was shaking all over, and fighting the bit,” said Pa. “Sweat ran off her, she was so scared. I was sweating too. But I held her down to a walk, and we went walking along among those wolves. They came right along with us, a quarter of a mile or more. That big fellow trotted by my stirrup as if he were there to stay. “Then we came to the head of a draw, running down into the creek bottoms. The big gray leader went down into it, and all the rest of the pack trotted down into it, behind him. As soon as the last one was in the draw, I let Patty go. “Little pitchers have big ears,” Ma said. She meant that he must not frighten Mary and Laura. In this version, having Pa tell the story to Ma after the fact, and showing her reaction greatly increases the tension and draws us all into the scene. Pioneer Girl by Laura Ingalls Wilder, with annotations by Pamela Smith Hill, will be available in June 2013. Pioneer Girl can be preordered for $35 direct from the South Dakota State Historical Society Press by contacting (605) 773-6009 or emailing orders@sdshspress.com. Yes there is a “Contact Tracy” at the bottom of the home page, and also on the far right of the tool bar. Thanks, Alma! I’m so glad you enjoyed it. Have you read any of the biographical works about Laura and Rose?